These classes follow the Learn to Skate USA program, as endorsed by U.S. Figure Skating, USA Hockey, and US Speedskating. The mission is to provide a goal-oriented program that encourages ice skating at all levels and to enhance the quality of skating skills at these levels. Skaters are encouraged to register for multiple classes at their skill level for increased ice time and instruction, if desired. Designed for beginning skaters, the Learn to Skate program stresses preliminary coordination and strength to maneuver on skates. This class will include fun and games to encourage enjoyment of skating. Please remember to dress your child appropriately, especially in extremely cold weather. This class follows the Basic Skills 1-6 curriculum for the fundamental skills of skating, providing the best foundation for figure skating and hockey. Six progressive levels introduce forward and backward skating, stops, edges, crossovers and turns. Upon completion of the Basic Skills 1-6 levels, skaters will be able to confidently advance to more specialized areas of skating. Classes will be well-structured with the focus on proper skill development taught in a positive, FUN and social environment. Skaters will progress at their own rate and advance after skill mastery is demonstrated. Skaters will be placed in groups based on skill level and age, at the discretion of the professionals. *Practice ice is available on Saturday mornings from 8-9:30am where skaters can warm up and practice before and/or after their class. This class focuses on the skills necessary to perform jumps and spins, as part of the Basic Skills 1-6 curriculum. Favorite skills include two-foot spin, forward lunge, bunny hop jump and shoot the duck. Moves in the Field emphasizes developing and improving basic skating skills – specifically balance, power, edge control/quality, stroking, posture, extension and quickness and flow into each skating element. This class will focus on basic edges as crossovers, spirals, 3-turns and mohawks that are important components of more advanced elements. The Advanced Jump & Spin program teaches various jumps and spins, along with some footwork and power skating sequences. Moves in the Field emphasizes developing and improving basic skating skills – specifically balance, power, edge control/quality, stroking, posture, extension and quickness and flow into each skating element. This class will focus on more intricate, higher-level moves like mohawks, cross rolls and power pulls. This is an off-ice class designed to enhance flexibility, balance, muscular endurance and total body awareness. Elements will include dynamic stretching, upper and lower body strength building, core strengthening, deep static stretches and breathing exercises. This is a perfect warm-up class for anyone enrolled in Monday night classes! Launched last year, this season-long class is designed for enthusiastic skaters (both hockey & figure) who want to improve the performance of their skating skills. Classes will emphasize proper technique training for the purpose of becoming more powerful, stable, explosive, efficient and faster skaters. Technique lessons will include power, edge control and quality, posture, carriage, extension, quickness and flow -- specific stance and stride mechanics to help players maximize acceleration and speed, and posture and edgework to create low center of gravity, and balance so players won't get knocked off the puck. Pre-Paid Figure Skating Ice is available for skaters who would like to practice their skills outside of group class time. This is a great opportunity to enroll in private instruction and accelerate your skater’s progress. Signing up for Pre-Paid Figure Skating Practice Sessions entitles the skater to attend any or all of the session times listed below, every week, throughout the season. These times are reserved for skaters focused on practicing their skills in a supportive, team-like environment. This is not meant for social gatherings or recreational skating. 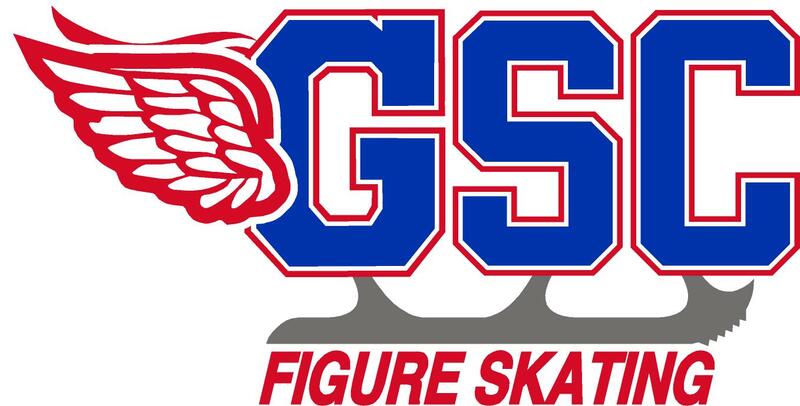 All skaters must be registered for Pre-Paid Figure Skating Practice sessions, and no guests are permitted. Private or Semi-Private Lessons may be booked by an individual skater(s) during scheduled Pre-Paid Figure Skating Practice sessions or General Skating sessions. Only Club authorized professionals may teach private lessons. Please contact the coaches directly – their contact information can be found on the “Coaches” page. This class is for the beginner or intermediate adult skater. Basic skating skills and edges will be emphasized. This time is reserved for private lessons for adults with a pro.